As I posted on Tuesday, I've been hunting through some furniture websites. It literally all started innocently enough when I was in my living room with the boys and I realized that we /seriously/ needed a bookshelf. But not for books, no no no. For all of our board games and "collectibles". They also gave me some amazing pieces to work with, and above is the mood board that I came up with! Oh yeah, and that amazing black sofa is their 'Monaco black leather sofa'. It looks so seriously comfortable and those Love Pillows would look amazing on it. I'd probably actually take off the generic black pillows and put some silver accent pillows in the corner of the couch. The accessories make the outfit, right? The company is lovely and is based in Canada, and they have a store in Miami and another store opening up local here in Aventura. I created the room first, and then decided I was going to create an outfit for the woman who lives in the house. I think putting the room together was more difficult than creating the outfit! I love the ultra-modern feel of all their furniture, and I wanted to woman who lives there to be the same way, but have a little feminine flair to her. So I gave her a white lace dress with a cute black bow belt, and then kept the rest of the accessories fairly simple and the makeup even simpler. Berry lips with some winged liner, false lashes, and a heavy application of mascara? Yes please. Also: They have some AWESOME art there, I love the colorful art like 'Midnight Cat' they have in the Home Decor Section. That art style has always been one of my favorites. And yeah, I realized I still don't have a bookshelf in that room. Haha! 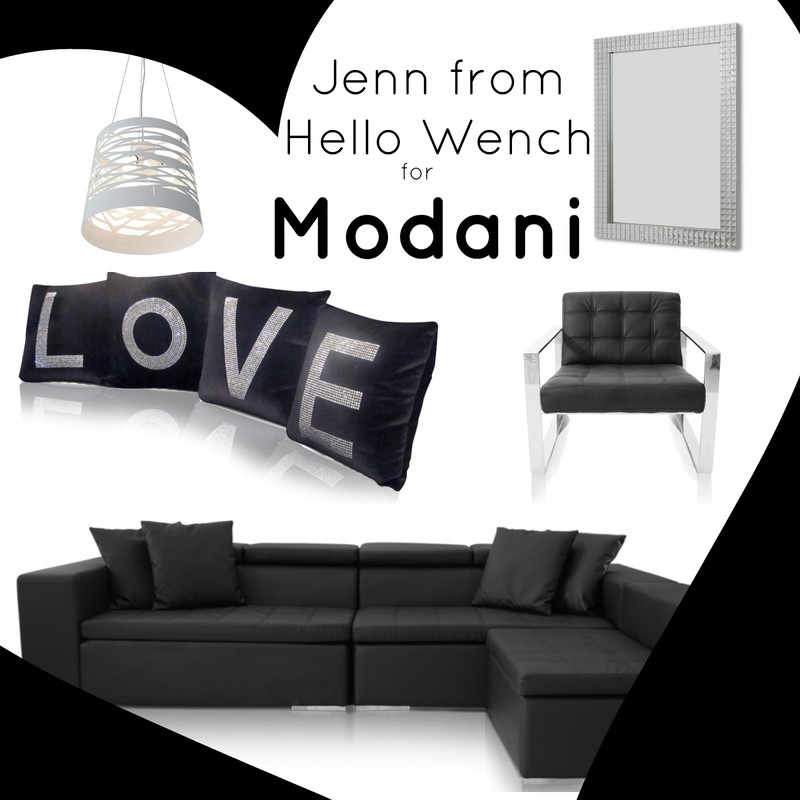 * This post was sponsored by Modani - some aff links may be included.